My parents are moving from their three-bedroom, two-yard home into a condo in the coming months. (Make no mistake, though this is the home I grew up in, I’m very excited for the next chapter in their lives!) I will miss much about that house, especially the backyard with fruit trees, a raspberry bush and the garden. Every year, my dad plants all sorts of things – even corn. (Sadly, not much corn and no baseball players emerged.) A couple of years ago, J and I planted a few things including hot peppers and mint, the latter of which promptly took over the back half of the garden. Sorry, Dad. What I will miss most, though, are the tomatoes. I always knew summer was winding down when the tomatoes came out in full force: little ones, big ones, red ones, yellow ones…all delicious in their own right, all practically falling off the vines, ready to be picked. 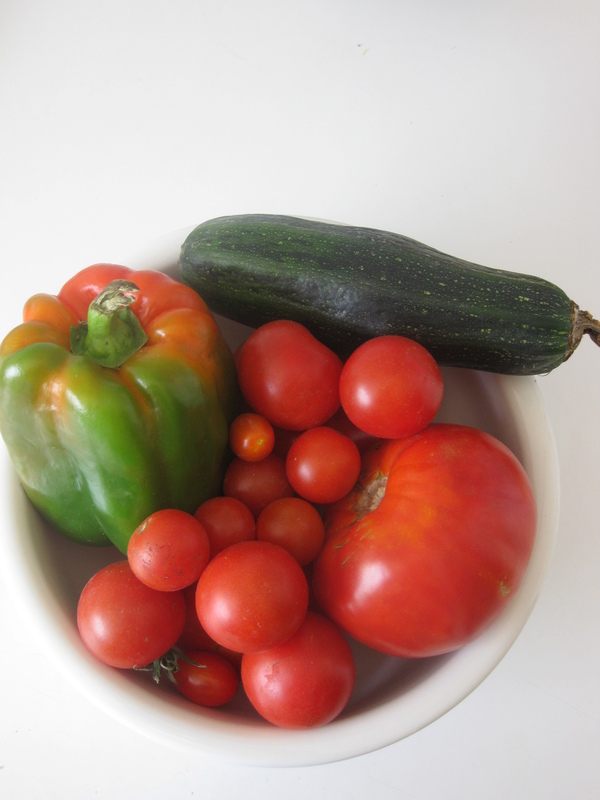 Once you’ve had home grown fruit and vegetables, it’s hard to beat. So, to all my dad’s hard work, I say thank you. To all the gardeners and farmers, keep up the amazing work. I, for one, appreciate it even more now that it won’t be in the back yard for us anymore.